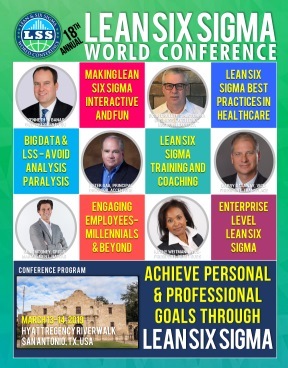 In the age of System Automation and Big Data the proliferation of Lean, Six Sigma, and Lean Six Sigma continue to expand worldwide to every type of organization and industry. Experienced practitioners and belts continue to be in high demand, not only to lead projects but to promote and enable critical thinking and process analysis skillsets within the organization. Roles like Value Stream Manager, Kaizen Event Leader, Black Belt, Green Belt and others are now commonplace. As one would expect, organizations want to tailor improvement and training to their needs. The resulting variation in terminology, training, certification, and applications has led to inconsistency in performance and success (both positive and negative) by both individuals and organizations. Lean and Six Sigma deployment leaders experience this when hiring and building teams and practitioners when working with cross functional and external resources. The simple answer is to provide standardization and consistency. Experienced improvement practitioners know, that to improve a situation, you need to start with a baseline standard. There are many places in which one can focus with standardization from a Lean and Six Sigma standpoint. From a manageable scope standpoint and the greatest need, a realistic and reasonable starting point is training. Organizational Change Management is another area where training and application may be tailored to an organizations specific culture and may directly impact the success and sustainability of future performance. In this session we will also focus on best practices throughout the methodology on how to manage organizational change. At the heart of all successful projects is the buy in of the people most impacted by the change at all levels of the organization. Big Data, Robotic Automation and sophisticated IT systems has also added complexity to how practitioners collaborate with IT, Business Intelligence and Data Scientist teams throughout the DMAIC methodology. This can be seen particularly in the measure, implement and control phases of the project. Often these team members are left out of the project until time to deploy. Impacts to buy-in, timelines and missed solution opportunities are the most common outcomes when not considering the changing dynamics in the new digital age. The Lean Six Sigma refresher workshop, designed for trained green belts, black belts and continuous improvement professionals will discuss and review best practices, common pitfalls and how to ensure successful project outcomes. Whether you have been practicing for years, new to the methodology or looking for a baseline starting point as a manager of a new or existing team, you will find value in this course.